Even though it has been over three and a half years since the ending of my marriage of 37 years, it is only three months past our marital financial settlement, and only three weeks since our house has legally become my home. I have spent over three years in ‘letting go‘ of my old life in an emotional sense, and it is time for me now to reflect on where I am in a practical sense. I feel it is important to spend some time in that middle place, that place of restructure. Yes, I am indeed the Captain of my ship, and my ship is meant to move on to exciting places, but as Captain I know the importance of maintenance and refurbishment. I do not want to set sail and sink, run out of supplies, or be unable to weather any storms that may pass my way. I am going to spend some time working on my growth, on my vision for my future, and on decisions in some very important aspects of my life: my place of living, my connections, my family network, partaking in meaningful projects and planning my further contributions to society. However, before any of that – there is me. I am going to work on me – my health, my education, my well-being, my self-security. So for a little while at least, I will remain in port in order to fully recharge. I have been writing on the theme of my experiences of new chapters in my life. This post has been on stopping for a while before beginning my next new chapter. 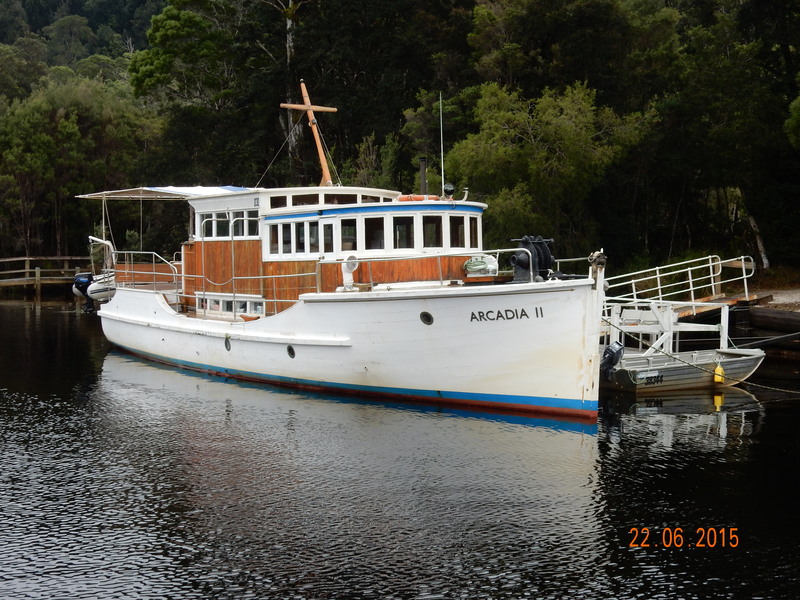 The photo is of a ship at Corinna, Tasmania; asleep for the winter months. This entry was posted in Becoming 'me', Letting Go and tagged new beginnings by elizabeth2560. Bookmark the permalink. You are such a wise woman and a tonic! I can see your ship far out on the horizon, discovering exciting new opportunities and embracing the fullness of life. One day at a time. Big hugs to to you Elizabeth. Thankyou for your kind mention. The vision is there for me too. I love the idea of taking time to be in port and figure out your situation, needs, make plans and then: Chart your future course, Elizabeth. I would not expect any less of you. The way will need contemplation of what people you choose to surround yourself, Elizabeth. Glad you have a July “jewel” of a daughter. Her birthday will make your winter has a special time to look forward to. I was surprised how many people reported birthday children or grown children born this month. My Dad was born at the end of the month, a Leo. I used to have a ruby ring and it was pretty. Hope your July goes well and I will be rooting for you all the way! Thanks for all the support you have given me in the writing of my blog. Ah yes, the fun will now come … although firstly I am just going to take some quiet time out. Wonderful post, Elizabeth. If I had a bottle of champagne, I’d toast you; you are definitely the Captain of your ship now, the master of your fate and your future journeys!